OK. Yesterday a freak snowstorm - so it was a recovery spin on rollers, and a run. Today up early - lots of work to get done. Did sneak out late this afternoon for 2.5 hours into increasing cold and dusk that in the last hour slid unintendedly into big ring tempo trying to beat the darkness back home. Cold headwind coming back, but today was one of those rare days 'pedaling in the butter'. Been feeling great since the cross race Saturday actually. And one minute after pulling in today, the pulse was back down to 84. Good sign. Canton Cross, the Massachusetts championships was a fun race today. I was seeded at the back again (!) but after a poor start caused by an inability to click in (an omen), I felt pretty good for a change during lap one and was passing guys, moving up. Unfortunately, that progress was thwarted by a clogged cleat problem that frustratingly cost me lots of places and time at key points in the race (like every remount), but no excuses, everybody has something to deal with in a cross race. Cross is a lot like life. Obstacles and adversity try to stop your progress, but you just need to shut up and get on with it. It was a good race, and I'm happy with my effort, if not my placing. Canton is a long lap (~10 min). It's mostly flat, and on well worn, fast grass. A really enjoyable power course. 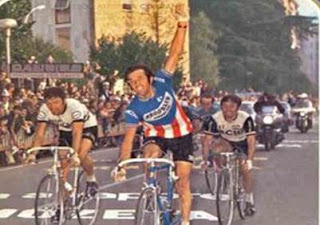 Videos of the day: Hennie Kuiper at Munich, 1972. OK jongens, I'm staying with the retro Olympic games road race theme. 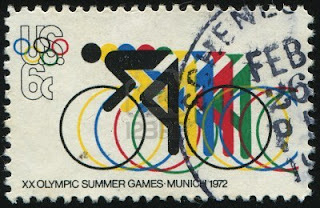 Here's a few clips related to the road race at the 1972 Munich Games. For you old school fans, here's a retro-cool video clip of an Olympic Games road race past. And a requiem for a hardman. We'll take a little nostalgia trip back to Rome, Aug. 30, 1960. 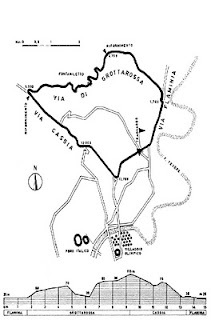 Hot day, wide open course on the Circuit Grottorossa in northern Rome (an almost perfect triangle comprising the beginning of the Via Flamania and the end of the Via Cassia), with nothing to keep the 42 degree C (108 F!) Lazio sun from melting the riders. Your Gelati didn't last long that day. In weather as far from stereotypically 'Russian' as you can get, Viktor Kapitonov - who later became the 'direktor supremo' of Soviet cycling - got off and was joined in the break by the homeboy Italian, Livio Trape. With one lap to go, Kapitonov sprinted over the line and raised his arm, only to be told, sorry Comrade, you've still got one more lap to go. Monday morning. The last chance saloon for my road season. The last chance saloon. It was the phrase that replayed in my brain as I drove in the early morning, traffic-free Columbus day sun over the giant bridge to the beautiful island of Jamestown, a jewel in the middle of Narragansett bay. Our little Flandria supporterswereld went into mourning this weekend hearing the sad news of the passing of Flandria pro cycling team patron, Pol Claeys after a brief illness last Friday. Mr. Claeys was 78. 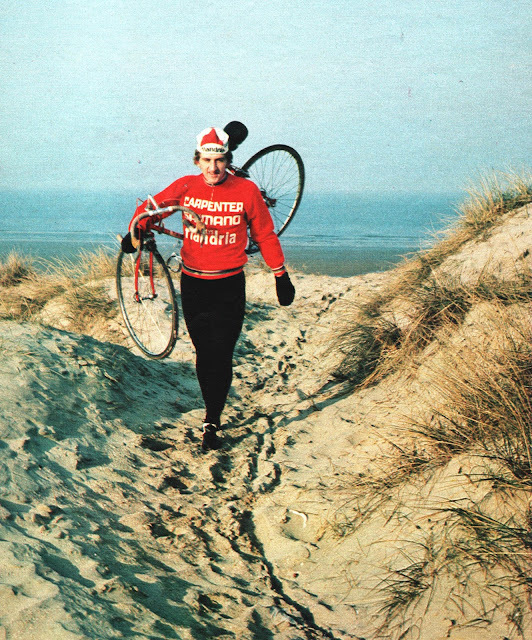 A lifelong passionate cycling enthusiast, Pol Claeys was the man whose hands on initiative built up what became the famous 'Red Guard' in the sixties and seventies. Claeys personally signed on stars like Rik Van Looy, the DeVlaeminck brothers, Joop Zoetemelk, Walter Godefroot, Jempi Monsere, Freddy Maertens and Michel Pollentier. 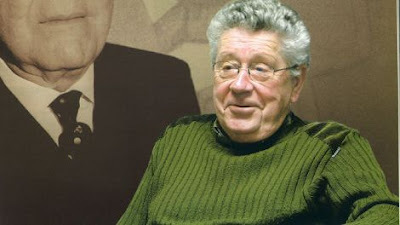 For over 20 years, he and his directeurs Briek Schotte and Lomme Driessens maintained the Red Guard as a force in classics, tours, winning several world championships. Statement of the obvious: Starting a cyclocross race seeded in the 9th row is like being on the end of a whip. Based on my number, I started about 90th Sat. and 87th Sunday - last row baby. And after 45 minutes in the pain cave, I only ended up 75th and 65th on the day respectively. Not very good really, didn't have the extra gear. What's the point in racing? Well, it's a heckuva lot of fun. More accurately it was haardtrainen, because from my global positioning,you wouldn't call it 'racing' exactly. In fact, you would have needed a GPS to locate me relative to the leaders before the first half lap was over. After one spanking, back on the grid Sunday, I was contemplating how I was going to weave my way though a forest of tall, lean willowy 45-55 year old greying guys - most of whom I swear look like they ought to be cast in a Cialis commercial - when I realized guy next to me calling my name was my old friend, Chet Geschickter. Walking the Veloswap expo at the Providence Cyclocross Festival this weekend I saw a lot of familiar faces. One was 'Bike Guy' Bill Humphries, who was there unveiling his new book the Jersey Project. After over a year of hard work, Bill has put together an American edition of the Dutch book Koerstrui, an incredible photo collection of famous Jerseys in world cycling. Bike Guy was one of the original 'Raleigh Boys' from the 70's, and later manager of many a US national team in international competition (including the '78 Junior Worlds in DC when LeMond, Bradley, Demgen and Kiefel took the bronze in the TTT). The jerseys featured in the USA section bring what's always been a black and white newsprint photo archive history of US racing alive in vibrant living color. In it you'll find jerseys from all the greats on both sides of the Atlantic.